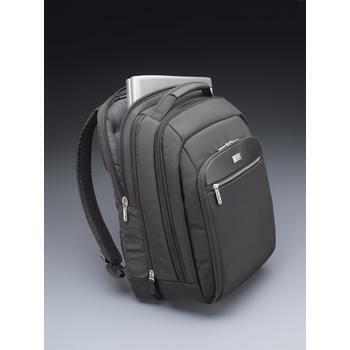 The Case Logic Security Friendly Laptop Backpack holds portable computers with a 16-inch screen or smaller. For best fit, we recommend using it with a device approximately 15.25 inches wide, 10.75 inches tall, and 1.75 inches deep. 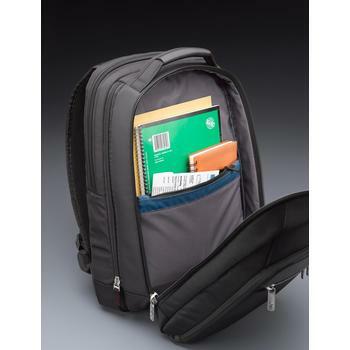 In any case, many backpack reviews refer to it as one of the best checkpoint friendly backpack models available today. While it is definitely not a flawless product, it probably has everything done right for the price tag it fetches. It is true that many people who have purchased this backpack end up being happy about their purchases. 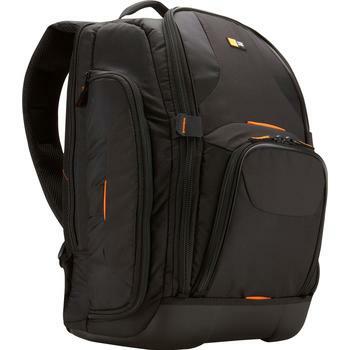 But if you’re looking for the best laptop backpack, is the the ideal fit for you? Scroll down and you’ll soon have a better idea. The Case Logic Backpack allows you to bypass airport security much quicker. It meets TSA guidelines set by the government for use on a plane. 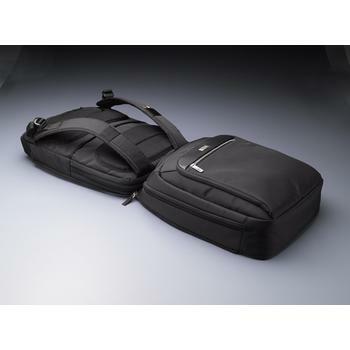 Furthermore, it offers a lightweight, compact storage solution for use on the go. It’s professional-looking enough for business travel, but it also works well for personal trips. According to one customer checkpoint friendly backpack review, you can pass through security gates without having to unzip and re-zip it. 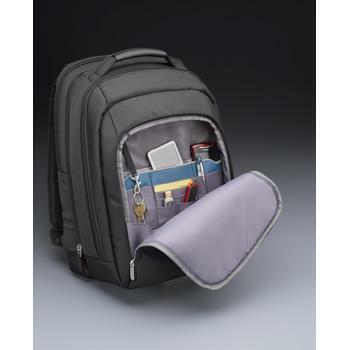 Furthermore, this carry-on bag has a compartment especially for your device. 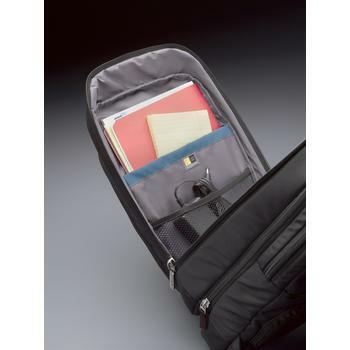 You also benefit from extra sections designed for storing cameras, pens, folders, magazines paper, USB drives and more. This item can help you make the most of your business trip while traveling from Point A to Point B. It also provides convenience for you because all your office supplies fit into it. As a result, you will not have trouble staying organized when you have tight transport deadlines. 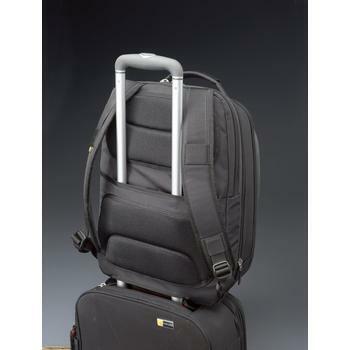 In addition, this bag has an adjustable shoulder strap plus a hook for attaching to rolling luggage. You can also hide the excess strap to prevent tripping on it when racing to your plane. Additionally, the nylon material is easy to clean when soiled. You can even wipe it with a wet towel. Moreover, this material resists water more than canvas or cotton, and this provides advanced protection against laptop damage. This item also has high-quality zippers. Furthermore, this item has plenty of padding inside the place where you would store your portable PC. This not only keeps out moisture and insulates the device, but the interior cushions also prevent scratching and cracking. Here’s an additional benefit: It stands upright when set on a chair or on the ground. This further protects it from the effect of mild impact if accidentally bumped. Although it suits the needs of most business travelers, there may be occasions when U.S. transportation security officers require additional inspection. You can’t prevent that. Still, it does make it easier for you to pass through customs when you have only so much time to make your flight. 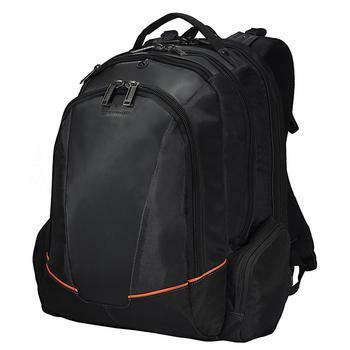 One other minor flaw noticed by a user: Even though the overall construction of the Case Logic Backpack is quite durable, it can unzip when too much weight is applied. Adding too many items to it can cause the bag to split into two loose-hanging sections. 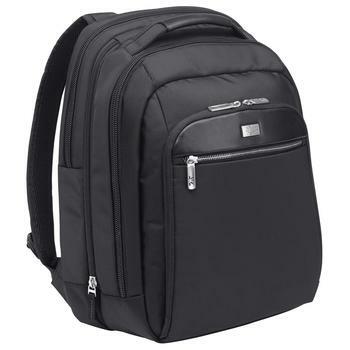 One user checkpoint friendly backpack review indicates that you might have to travel light when using the Case Logic Backpack. Still, you can fit quite a bit of your business supplies into it. You even have a hook for your keys and smaller compartments for any grooming supplies, scissors or staplers you carry with you. 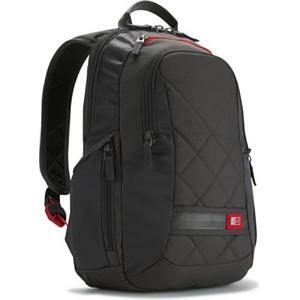 The Case Logic portable luggage is one of the best checkpoint friendly backpack designs available today. Even with its minor flaws, it’s still one of the most preferred on the market. It’s also one of the most popular. Think about the pros and cons of this backpack. Ask yourself which issues matter the most to you and which shortcomings you can live by with. Is this the best backpack? You are the best person to answer it!